The egret represents the freedom of rising above your clutter! People sometimes ask me why I have a stork for my business logo. Is it my fault that not everyone knows an egret from a stork? Granted, New Mexico is not exactly known for egrets, but I do see one sometimes down by the Rio Grande. The Org4life egret-taking-flight logo represents freedom from clutter! 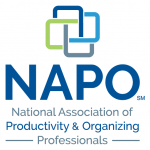 In the spring of 2007 I attended the NAPO conference in Minneapolis. Can you imagine 800 professional organizers in one room?! Need I add that the event was very organized? It wasn’t my first year as an organizer, or my first conference, either, but I had yet to choose a logo or a tag line. My business cards were very corporate looking, having been inspired by my previous telephone company business cards. That’s it! The feeling of getting organized; of rising above the weight of one’s clutter; of freedom. The feeling of being able to relax, exhale, appreciate life, enjoy one’s space, and reach one’s goals. My business cards are now less corporate-looking and have a more personal feel. I hope you are inspired too! So, it’s an egret, not a stork… but does it really matter? What if it were a stork? I’ve never seen one, by the way. They’re much more common in Europe where the baby-delivering legends originated. Storks are excellent parents and tend to return to the same nest every year. Their return from migrating to warmer climes for the winter is historically concurrent with the spring human births which result from frolicking at the previous summer’s festivals. So, babies… making room for babies… organizing nurseries and kids’ rooms… newlyweds… combining households… moving and unpacking… space planning and redesign… “nesting”… giving birth to order… it all works for organizing, and it’s all good! But it’s an egret, OK? 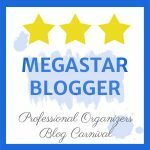 How do you feel when you declutter and get organized? Pease share with us in the comments below! And let me know if you’d like to experience the freedom of getting Organized for Life! Copyright 2011 – 2017 by Hazel Thornton, Organized For Life. As someone who loves a good metaphor, I love your egret! 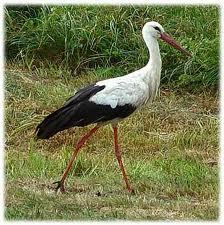 We have lots of them around here in CT, but I don’t think I’ve ever seen a stork. 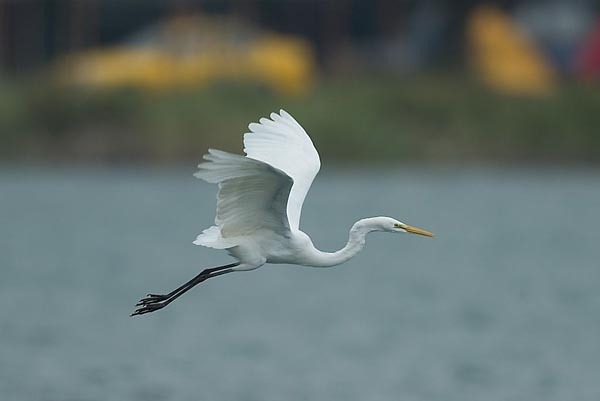 Egrets are graceful and really soar. They definitely do have a “lightness” about them. Thanks, Seana! It’s funny…I’ve always loved egrets and used to have a ring that looked like this only silver: http://etsy.me/2obSNBD One day I was changing the oil (more likely checking the timing or something, as there were moving parts involved) on my 1972 Pinto, and my finger got hit by…motor blade? But not hurt, as it was really the ring that got hit (and ruined) and it protected my finger. Wow, hadn’t thought of that in ages! Thanks for sharing the backstory on your logo. I get it now! I think your post needs an egret flight video for us to get the full effect! 😉 And to answer your question, whenever I organize and declutter it brings me clarity. I often find myself purging items when I have to make a tough decision because it clears my head to see things more clearly.